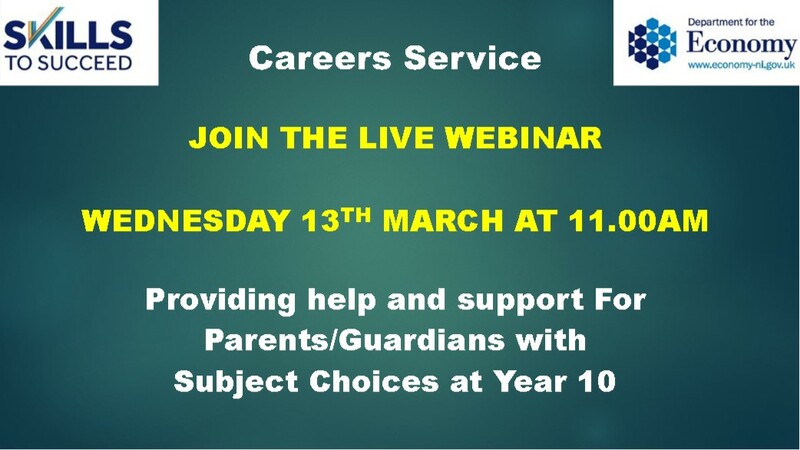 Join the Careers Service live Webinar on Wednesday, 13 March 2019 at 11am which will provide help and support for Parents/Guardians with subject choices at Year 10. Click on the image above or click here to access the Careers information. 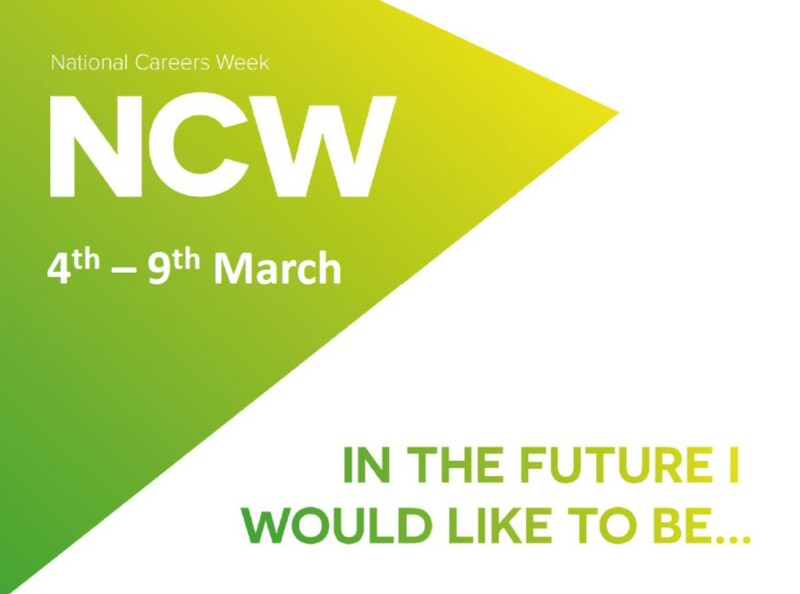 Please click on the image above or click here to access the Career Subject Links. 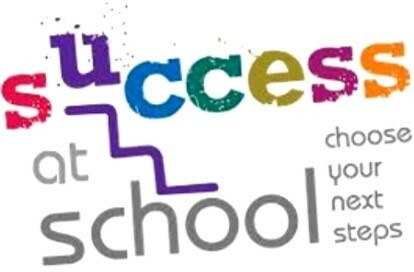 Successful Year 10 Speed Networking Careers Event Thursday 28 February. 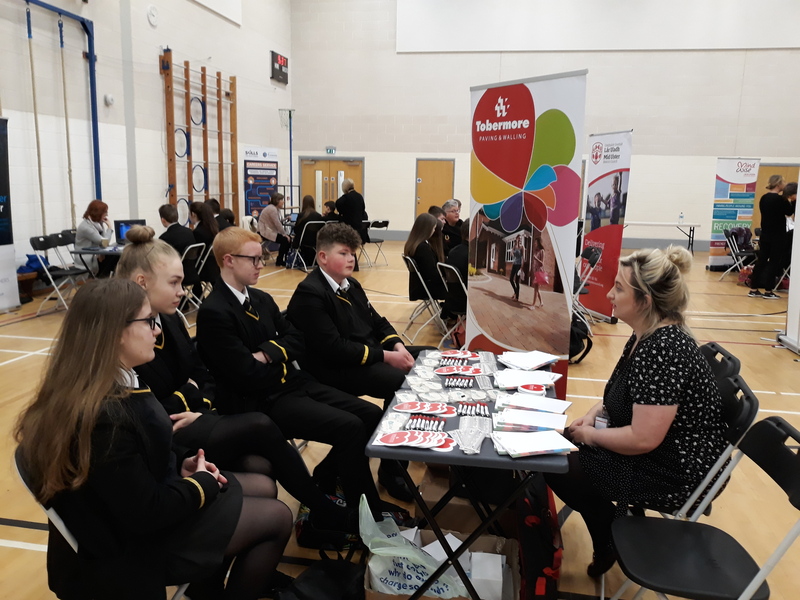 A wide range of business and employers covering all areas were available to meet and speak with groups of pupils about their organisations and the career opportunities available within them. We would like to offer our thanks to all the visitors who gave their time to attend which was much appreciated. 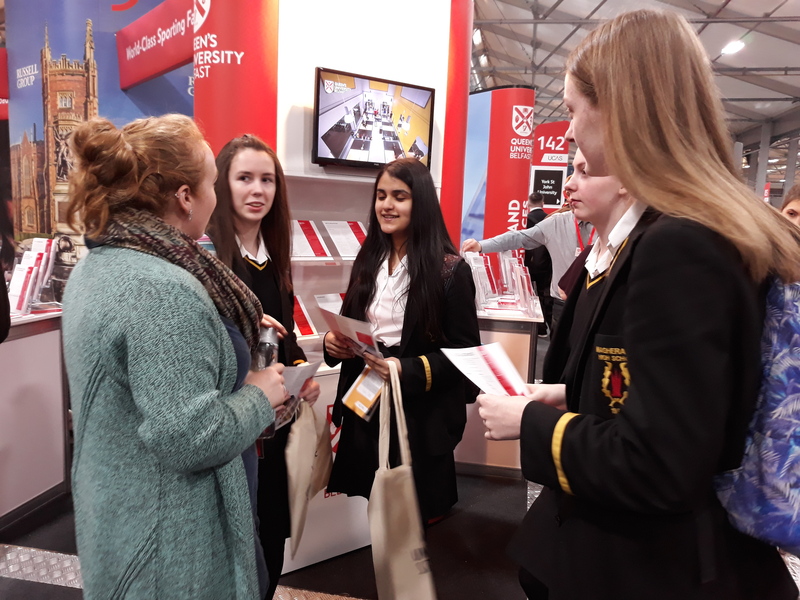 Year 13 Pupils got the opportunity to visit the UCAS Exhibition at the Eikon Centre, Lisburn recently where pupils go the opportunity to meet with representatives from 142 Institutions to get information and advice on their furture and course selection.